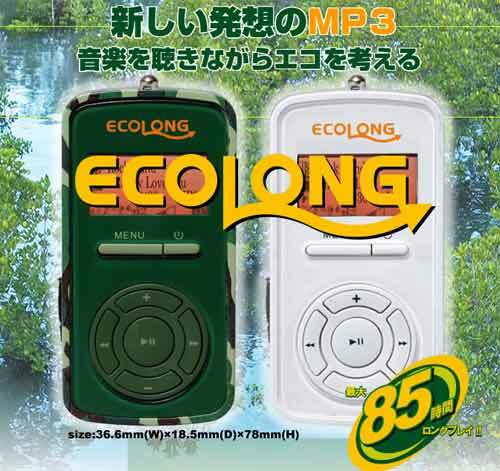 NHC has a website filled with all sorts of subjective claims about how the Ecolong will stretch six batteries out over a year or how one cell sees the average daily commuter through two months of strap hanging, whether listening to tracks from the internal 1GB of flash or its FM radio. The white version costs ¥4,980 ($43), while the camouflage model costs ¥5,980 ($51) and comes with a super-tacky matching case. As a USB mass storage device, the Ecolong is flexible enough to consider but the styling leaves a little too much to be desired.